In Russia, it is said, "Nothing and everything is possible." In "Inside Out," author Glenn Williamson explains the award-winning development of St. Petersburg's first modern Class A office/retail center by a multinational team of Americans, Russians, Brits, Turks, and Finns. "Inside Out" provides a fascinating memoir of his experiences working as a developer in Russia in the 1990s while balancing a home life with a new baby son. 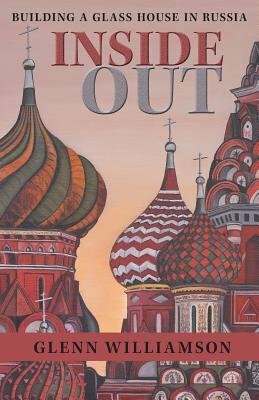 With unique and astute anecdotes, it offers insights into Russia, its people, and its culture. "Inside Out," funny and serious, sincere and sarcastic, narrates the anatomy of a real estate deal. Now, at a time when America and Russia consider ways to reset their relations, Williamson's story shows how actual players on all sides of a complex business and personal adventure looked for, and ultimately found, a common language. "If you ever wondered what a developer does all day - especially one developing in Russia - all your questions will be answered by reading this fascinating story."